Would it be possible to display the unique Transaction-ID that is generated by the system on the front-end views? I would like both registrants and administrators to be able to see the Transaction-IDs. I am requiring registrants who make their offline payments to state the Transaction ID. It would be very helpful if administrators could refer to the Transaction-ID as well when checking payments against registrations. At the same time, how can I suppress the display of the number of registrants from those views? For my application, this is irrelevant data. Perhaps I could display the Transaction-ID instead? 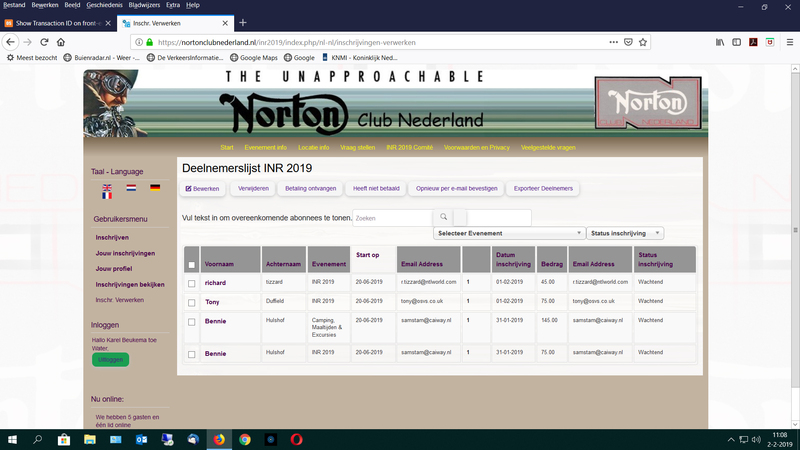 Could you please attach the screenshot of the page which you want to make the modification so that I can guide you further? Here are the screens where I would like the Transaction ID to appear. 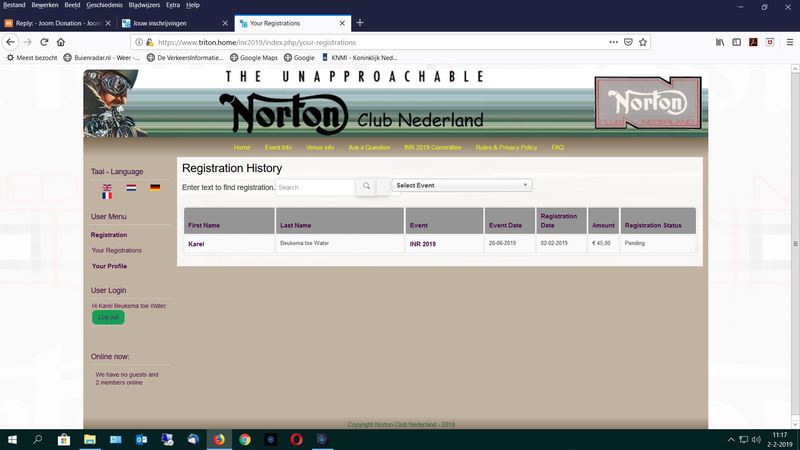 As mentioned, the Number of registraions is an irrelevant field for me -as there will only be individual registrations, so one at a time. Try to open that file, you can easily do the modification. To show Transaction ID for each record, you can use $row->transaction_id. Thanks for the tip. I manged to edit the default.php files for both the front-end and the back-end views. They both look fine now. To be honest, I don't quite know what you mean by "template override". How do you create such a thing? I have saved copies of the relevant default.php files in a safe place and can restore them to their respective directories if necessary. But I assume there must be a smarter way -which I am unaware of. For backend view, you modified the file administrator/components/com_eventbooking/view/registrants/tmpl/default.php, correct? Unfortunately the method described by you creates an error when I try to restore a backup of the site using akeeba kickstart. I get a message "Unable to upload from [path-to-teplate/...]" and the restoration process stalls. So I have to stick to the not-so-user-friendly method of keeping the relevant php files in a safe place and uploading them indvidually to the right places each time an update is done.